So Why Is Hillary Doing Stupid Things? Well, it’s certainly not surprising to anyone who has followed her career. Don’t forget, she made her debut as a Wellesley College senior. She bluntly told off Massachusetts Sen. Edward M. Brooke. Sen. Brooke, a liberal Republican, was the first black man elected to the Senate since Reconstruction. As such, and in recognition of his own massive personal dignity, Sen. Brooke was given deferential treatment by leaders in both political parties. But not by young Hillary Rodham. She sassed him good. Don’t do stupid stuff. When her husband was running for president in 1992, Hillary made headlines by sneering that “I suppose I could have stayed home and baked cookies.” Instead, she worked as a high-powered attorney for Little Rock’s Rose Law Firm. And when her files from her work there were subpoenaed, she managed to misplace them—for years. And she got away with it. That was how she covered up a record of doing stupid stuff. President Obama had previously argued for a foreign policy that doesn’t “do stupid things.” He was doubtless referring to George W. Bush’s original invasion of Iraq. President Bush believed—as the whole world believed—that Saddam Hussein had weapons of mass destruction. We knew he had used them against the Kurds. Bush had to go to the UN and engage in a long-protracted diplomatic run-around in order to muster the support he felt he needed to back his attack on Saddam. That lengthy run-up to war doubtless gave the Beast of Baghdad ample time to transfer his WMD. We may have finally located Saddam’s weapons. Couldn’t they have been moved to Damascus? Syrian dictator Bashar al-Assad admitted holding poison gas in an extraordinary interview with Fox News team, former Congressman Dennis Kucinich (D-Ohio) and Greg Palkot. What he did not say was where Syria got the WMD. This attempt to swim away from the wreckage is hardly believable. She was an architect of the policies we now see so obviously failing. She boasts that the “re-set” with Russia was a brilliant stroke.” Talk about stupid stuff! She thinks what’s wrong with our policy against ISIS or ISIL is that we failed to give adequate and timely support to the Syrian rebels. As a U.S. Senator, Hillary Clinton voted for the Iraq invasion, but then turned about and berated Gen. David Petraeus as he testified before the Senate Foreign Relations Committee. Gen. Petraeus is widely credited with saving the U.S. from a humiliating defeat in Iraq in 2007. As Barack Obama’s Secretary of State, she fully supported the pullout from Iraq. And she doubtless knew that vast quantities of U.S. weapons might soon fall into hostile hands. Did she think the “good” Syrian rebels would have fought more bravely against the beheaders of ISIL than the U.S.-armed and trained Iraqis did? 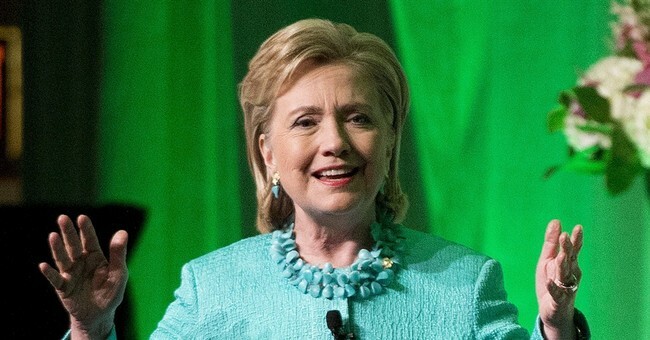 Why should the Post view any of Hillary Clinton’s “blunt” talk as surprising? We have only to consider this incredibly ugly performance by a U.S. Sec. of State when Libya’s Muammar Khaddafi was lynched by an enraged mob. “We came, we saw, he died,” she is shown cackling in a televised interview. This may be the dumbest of dumb stuff. And her gloating over the death of a notorious thug only foreshadowed our own grief in Libya as she so conspicuously failed to protect our embassy personnel there. We do not know what was the reaction of President Truman and Sec.of State Stettinius to the shooting death of Italian dictator Benito Mussolini on April 29, 1945. Shot along with his mistress and a number of cohorts by Italian partisans, Il Duce’s mutilated body was strung up in a Milan gas station. We can be grateful that we do not have video of them exulting over a bloody death. As much as the mass murderer Khaddafi richly merited his bloody demise, no one who claims to be a diplomat and to represent this Great Republic to the world should ever put on such a disgusting display. Leave the dumb stuff to Joe Biden.